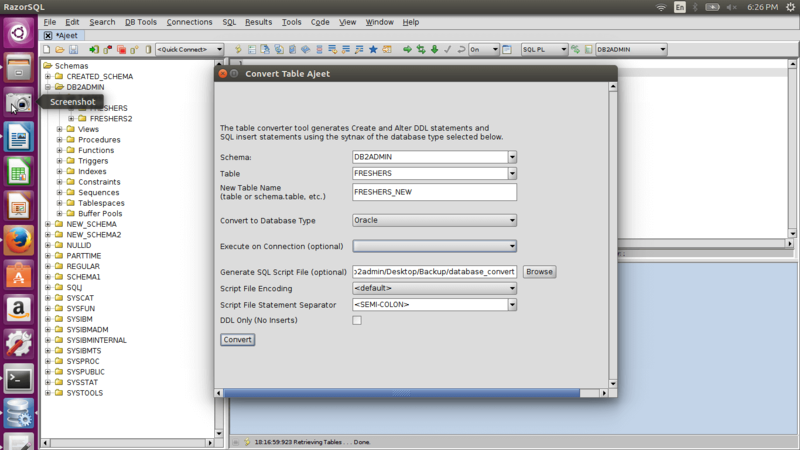 Database Conversion is used to change the database in other format. 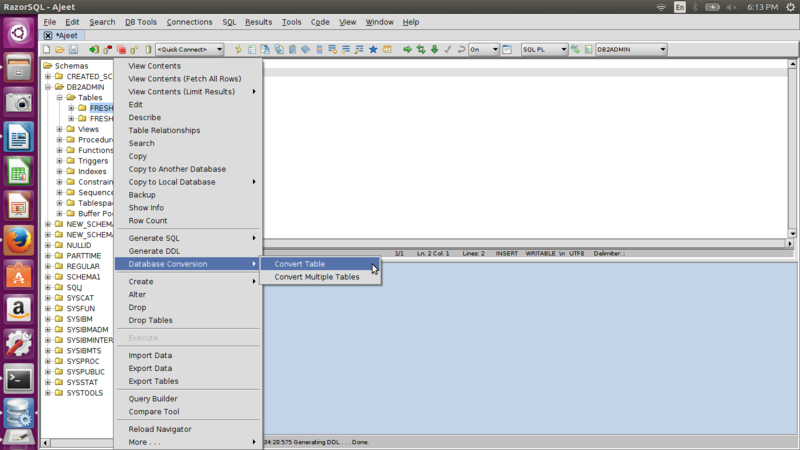 For example: You can change DB2 database tables in H2, MS Access, MySQL, Oracle, PostgreSQL etc. 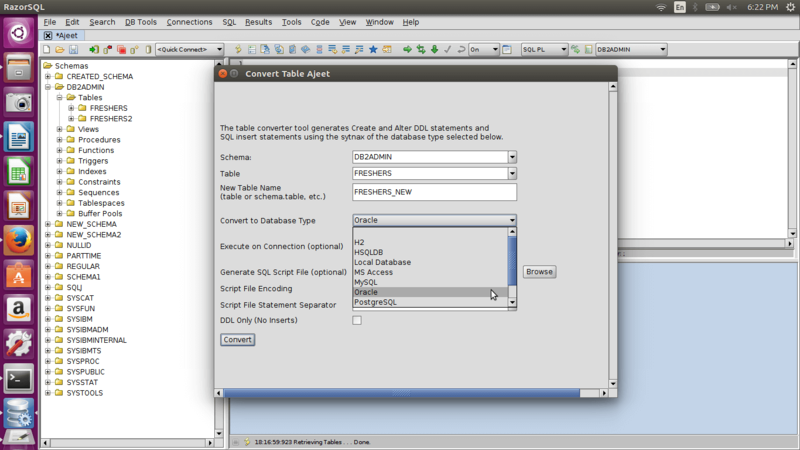 You can change a single table as well as multiple tables. 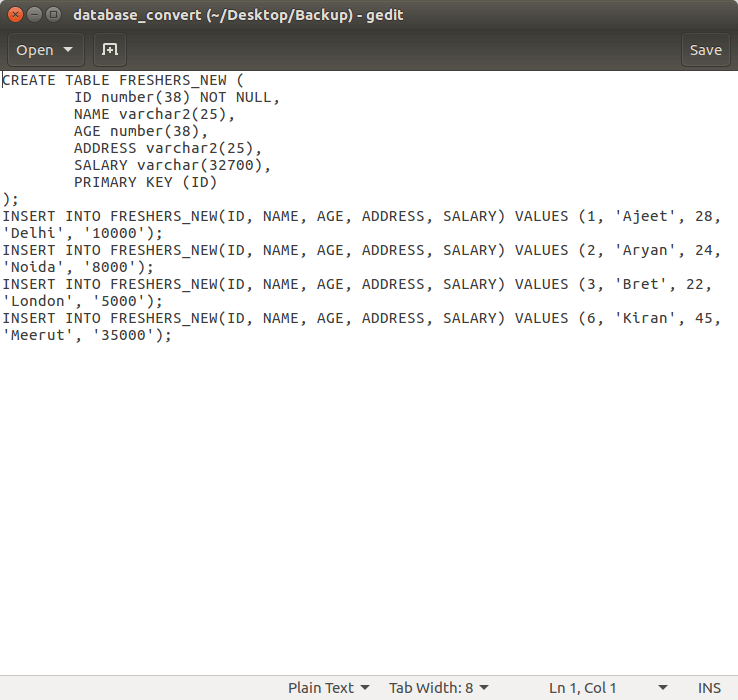 Let's change the DB2 table "Freshers" in Oracle table. 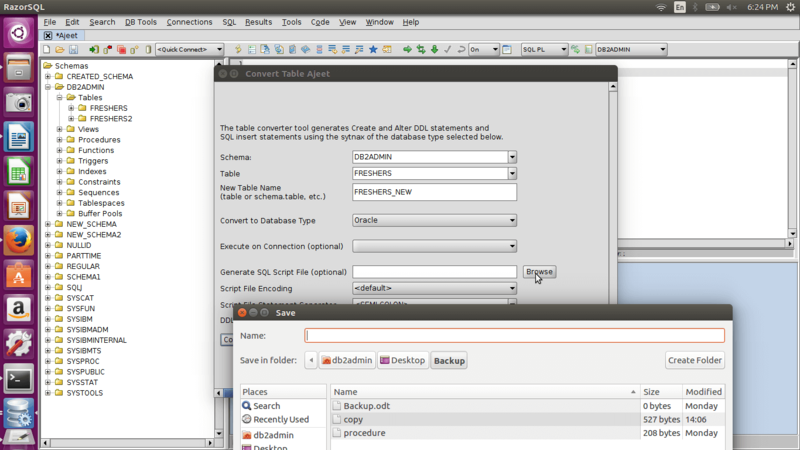 Now set a output file for conversion. Now you can see the converted table.